Early Saturday morning. I am entertaining myself by running the DVR in my head. It latched onto a memory from many years ago from back in old Peshawar. As posted before, I served in Pakistan and split my time among the road, Islamabad, and, my favorite, working in the consulate in Peshawar, most of the time as the only American. Let me set the scene. Peshawar had only three consulates: Afghanistan, Iran, and USA. As I have noted before, Peshawar in the early 1980s, was a wild and wonderful place full of all sorts of characters. For anybody involved in consular work at any of the Western embassies and consulates in Pakistan one of the biggest headaches, aside from Western women who married Pakistani men and then desperately wanted to flee (more on that in another post), were the "world travelers." These drifters were often relatively young, late 20s to early 40s, with a few dollars and no sense, who somehow had made their way to South Asia. They would arrive in the oddest ways, often by bus from Europe via Turkey to Iran and sometimes through war-torn Afghanistan and to Pakistan. Some "world travelers" would go on to India, Nepal, Sikkim, Bangladesh and who knows where else. A few would stay in Pakistan to take advantage of the low prices and the easy availability of heroin. The stuff was sold openly in the ungoverned tribal areas, and made its way into the bazaars of Peshawar. Back to our story. I was in Peshawar, and dead asleep, having gotten in late after a long road trip. The phone rang. It must have been around 3 am. Never a good sign. Nobody calls at 3 am to say you have won the Publishers Clearing House Sweepstakes. In keeping with the odds, this call was not good news. On the other end of the line was the consulate's head Foreign Service National (FSN) who told me in a hoarse, sleep-slurred voice that the owner of a local "hotel" (don't remember the name) had reported that he had a young dead American man in one of his rooms. I said, OK, asked him to call our chief local security man, get a driver, and meet at my residence in 30 minutes. A little before 4 am, the men arrived. The security man, a big, bluff former Pakistani Army officer, asked me in a low voice, "OK, to take her?" Mohammed pointed at a cabinet. "Her" was my M-1 carbine which he thought was the coolest, neatest looking gun on the planet. He much preferred having "her" slung over his shoulder than merely packing his 9mm Beretta. I agreed. He gleefully pulled "her" out of the cabinet, slapped in one of my 15-round mags, racked a 110 grain soft point round, and slung "her" over his shoulder. He was happy. We climbed into the armored Suburban. I kept my eyes closed for most of the twenty or so minute trip down the narrow and very dark roads of the bazaar. We arrived at the "hotel," a narrow door in a wall, under a weak bare lightbulb, in the heart of the bazaar. The owner was waiting for us. 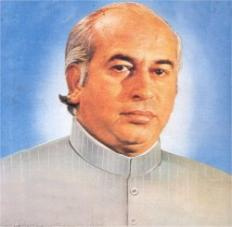 I remember being struck by how much he looked like the executed former Prime Minister of Pakistan, Zulfikar Ali-Bhutto. We walked into the small poorly lit "lobby" which consisted of a cluttered desk and a rickety staircase which led to the rooms. I asked "Zulfikar" about the dead American. He said he was upstairs. I asked how he knew the man was dead. "He hasn't come out in four, maybe five days. Some friend of his was just here knocking on the door. There was no answer. He owes me rent." "Zulfikar" led the way, with my carbine-bearing security officer next, and I last. Our FSN stayed in the lobby to call the duty officer at the Embassy in Islamabad to let him know we were working a dead citizen case. We got to the door and stood there. We looked stupidly at each other for several seconds. "Open the door, please," I said to "Zulfikar." "I haven't a key. He has the only one." "OK. What do we do?" "Consulate doesn't have a key?" The hotel owner seemed genuinely disappointed. His child-like faith in the mighty United States apparently had been rudely shattered. Mohammed took charge of the situation. Before "Zulfikar" could object, Mohammed delivered a swift kick to the flimsy door. It flew open, the frame exploding in a shower of splinters. We walked in. I remember the smell in that windowless room. It was strong and putrid; I had trouble not gagging. "Zulfikar," bemoaning his door, flipped on the bulb that hung from the ceiling. "Oh, God," I blurted out. In the harsh light, we could see dirty clothes, drug paraphernalia strewn about, and a clump of what looked like heroin on a piece of newspaper on the floor. On a charpoy against the wall lay the body of a young white man, now becoming a bit darker. The body had begun to swell giving the dead man a vaguely Hulk-like look. He wore a dark and now tight shirt with a left-front pocket. Jutting from the pocket was what looked like a passport. I wrapped my hand in a Kleenex, and eased over to the body. Trying not to breathe, I pulled the booklet out. "He's not ours!" I shouted. "We're out of here!" "What about my door?" Zulfikar yelled after us as we thundered down the stairs. "I'll call the XXXX embassy. I am sure they'll pay." Once back in the residence, I called the duty officer at our Embassy in Islamabad. Told him the dead man wasn't ours; he should call the XXXX embassy, tell them they had a dead citizen, and a door to repair. A stupid and useless death for a young man in a remote place: Probably not how he had foreseen the arc of his life. "These were often relatively young, late 20s to early 40s, drifters with a few dollars, and no sense, who somehow had made their way to South Asia." They are usually seeking or fleeing themselves finding only sad and dirty nothingness. Yes, that "smell" is one you never forget. Please excuse me for asking an inane question... Is covering cost of things like the busted down door a common expectation? I do enjoy these occasional stories. I've lived a sheltered life - except for the year I spent in the orient, I mean, Hawaii. No, we would not normally pay for the door. The other embassy also refused. The hotel owner should have keys! Given my experience when a young man as a USAF medic overseas and an EMT stateside, I can fully appreciate what you went through and the grim humor of it. Well told, sir. Thanks for sharing. I wonder where "world travelers" go nowadays to experience exotic cultures. I think maybe Germans will still go anywhere. But Americans are now so steeped in a culture of safety (people even say "have a safe day! "), and so concerned about the reception awaiting a US passport in a lot of the third world that I'd be surprised to discover Americans still hanging out in places like Katmandu. It might also be harder to find suitably exotic places now, too. Like fun and exotic, not exotic and depressing, like a refugee camp in Eritrea. You're right. There aren't many places where one can have an adventure without the certainty of a horrible death.Maybe India or Indonesia, but that's about it. I'm delighted that we found a link of your 'second life' as diplomad 2.0. We've mnissed you very much and shall check in faithfully every day! Wow! Now I am under pressure! 'There aren't many places where one can have an adventure without the certainty of a horrible death. Maybe India or Indonesia"
or in bed dreaming of RL SO superheroes who will smite nearly all of the horrific, self-obsessed evil profiteers and snuffers/ slavers in TX, DC, CA, FLA, NYC, Connecticut, Bahrain, and elsewhere. They're onto you and the best of luck until you've run out of it. Yes, that will work, too . . . . There are real men heroes steeled to do what's necessary. Gotta love them, as I do, tho', they're all married and ready for death-in-remote-places, such as on Galveston Pirate's Cove or in Katmandu, where the evil doers will be eliminated devastatingly efficiently as in the lame Bond movies. I have always considered the State Department to be radically left wing (in the mold of academia or unions). I envision the atmosphere at state to be hyper-partisan and intolerant of conservative principles. Clearly you correlate events that you see with a conservative world-view. There are a few notable others with the same perspective, John Bolton, for example. Hence the question: Assuming a Romney win in November, can the State Department be reformed or will the entrenched leftist-core always undermine a conservative President/populace? Good question. Republican administrations have shown themselves unable or unwilling to reform State. Part of the problem, of course, is that State recruits from universities that have a strong leftist bent. To Academia add Congress and the Press as powerful allies to the State Dept. in the past, making it very difficult to change. This may be changing with the Tea party starting to control congress and the press generally dicrediting itself. Not to say it still will not be hard to change, but when Romney wins(by a landslide) he'll have a better chance to do it than in the past. He'll still must replace every single appointee he's allowed by law to do and keep at it come hell or high water. Well, I think a lot of people enter State with a strong Leftist bent, then go to places where they get a bad taste of international Leftist and/or its clients, and grow up. I saw some of it when I was serving in Guangzhou, China. The young ladies in tight, black shorts who popped up every night all along the truck route from Guangzhou to Changsha shocked folks who'd been assured as collegians that Mao "cleaned up" China. And, had I a farm, I'd bet it that a lot of the former Iran hostages have a very jaundiced view of both Third World Revolution and Islam. Kepha, I'm sure your right, especially the people in the field and I don't want to imply otherwise. But the the ones in Washington do try my patience. I used to believe a new administration should try to keep those who were good at their job. Now not so sure. Maybe all appointees out and a new (yours) batch in. Probably not the smartest, but with me it's come to that. When I was younger I had SOOO wanted to work for the State Department; took the Foreign Services Officers exam several times. I passed with flying colors (97, 98, etc.) on the raw scores except the adjusted (I'm a white male) scores would then bumped me down a peg or two. While I still like to think I would have done well and enjoyed it, reading stories like this sort of make me glad that I didn't get in . . .
C'mon. I'm an officially white male, and got in. Reminds me a little of a more senior colleague who was a CG in a constituent post in Thailand. He got a call that an "American" was about to throw himself off a building. Our CG went, and even went out on a ledge several stories above a provincial capital's street, looking down at a host of curious local onlookers to talk the guy out of it, and discovered he was an Ozzie. BTW, Diplomad, I have a son who's into the "anything you can do I can do better" stage, and is thinking of taking the Foreign Service Exam (and he just might pass it). Any advice, since you seem to have been in more recently than I have. Yes, I just posted a long piece on that briefing. I know one of the briefers; they are not happy. That is the most inept attempt at a cover-up story I have ever read. Just a couple of points-the insurgents soaked the furniture with diesel and set it alight. Oh really? have you ever tried to do that, it's damn near impossible. When smoke started accumulating at the ceiling the security officer was not concerned about flashover or asphyxiation? He would not attempt to create openings to allow the smoke to escape? C'mon are we to believe that everybody at State is a moron. The ineptitude from top to bottom is unbelievable. Can we please summon Joe Wilson to say "You lie" every time Obambi, Clinton, Rice and others appear in public. What a coincidence, the "protesters" were also carrying large containers of diesel. Yep, nothing say "spontaneous demonstration" quite like gallons of diesel fuel, mortars and rpg's. ps. The above url is mine, I forgot to add my name to the post. I've known friends who have backpacked to the ends of the earth...or to their own ends, like that young man from XXXX. I have the luxury of a tidy arsenal in my gun safe, but far and away the most fun, reliable, compact, sturdy, "grab it when the stuff hits the fan" package for overall run-and-gun value is my M-1 Carbine...nothing else comes close. It was a brilliant solution to the question of portable firepower when you need a longer reach and more rounds than a 1911A1. That's the sidearm it was originally intended to replace, oddly enough. They even developed a holster for it to hang from your belt. I was delighted to find Diplomad 2.0 I am, once again, a regular reader. I loved that M-1. I ended up selling it to a planter in Guatemala who fell in love with it and tormented me for years to sell it to him . . .